As many of you know, I recently celebrated eight years of successful self-publishing. Today, I would love to share with you some of my best self-publishing advice. In fact, I thought it would be awesome to give you 8 of my best tips. One for each year I’ve been indie publishing. 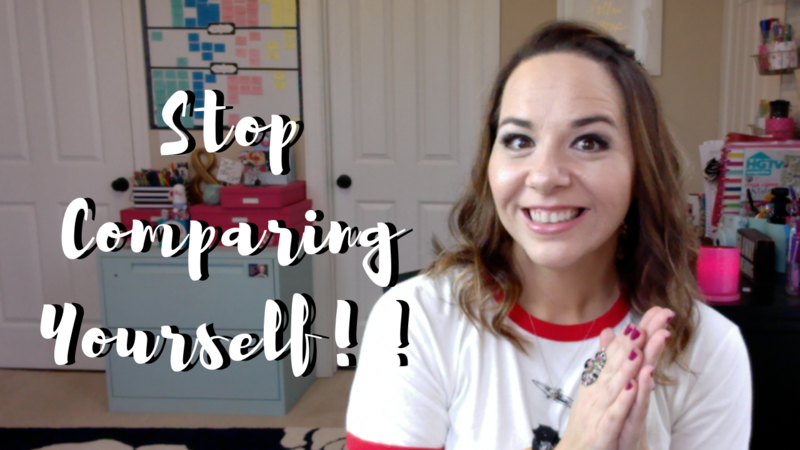 Over the course of the next few weeks, I’ll be posting 8 separate video tips full of my best self-publishing lessons and advice. I thought about doing a round-up style post about the best marketing tips that have made a difference in my career, but in the end, I decided to focus more on mindset and joy. If you’re interested in seeing a more marketing-focused post, however, be sure to comment below and let me know! For now, though, I sincerely hope you’ll enjoy these eight tips about how to self-publish with joy. Today’s first tip is one of the biggest lessons I’ve learned over the years. In today’s fast-paced world where numbers are readily available, it’s so easy to compare our progress with everyone else. It’s ridiculously easy to look around and see everyone who is doing “better” than we are or everyone who has something we don’t. But comparing ourselves to others is nothing but a train to depression-town. There is no quicker way to make yourself feel bad about everything in your life than to compare yourself to someone else. It’s heart-breaking and joy-stealing to judge your own value in this world by how you compare to someone else. Watch today’s video for more of my personal advice and experience on today’s tip. I hope you enjoyed this first tip and are looking forward to more tips on how to be joyful and successful as an indie author. Over the next week or two, I’ll be uploading new videos with my best tips and advice. Be sure to sign up for my newsletter below or subscribe to my YouTube Channel to get notified when new videos in this series go live. There will be eight videos total, and I can’t wait to share some of this advice with you. Everything I’ll be talking about comes specifically from lessons I’ve learned over the past eight years in this business, and I hope these tips resonate with you on your own personal journey toward self-publishing success. Now, it’s your turn. In the comments, I’d love to know where you are in your own self-publishing journey. Have you been at this for a while, like me? Or are you just getting started? Where have you found you struggle the most? I can’t wait to share the rest of these tips with you! I’m hoping to upload a new video every other day for the next couple of weeks, so please check back here and on my YouTube channel to follow along with this series. Thanks for the tip: it’s a hard one to do sometimes. As for where I’m at, I have been self-publishing since 2011 or so. I started with nonfiction, but now that I’m letting my more creative side take over, I’m writing more fiction. And, I’m having a lot more fun with it. My biggest struggle is the marketing; I don’t want to drive people away by being salesy. I have, however, watched your YouTube channel quite a bit, and am going to implement your strategy with my next series. Thanks again, and good luck with your NaNo project. I’m a wee bit behind, but plan on playing catch-up this weekend.